The Stoeva sisters clinched their first Grand Prix of their young careers in emphatic style, but were outshone by another, as Finn Ville Lång also won his first Grand Prix title, at the age of 29, in an epic against Wang Tzu Wei in 75 minutes. 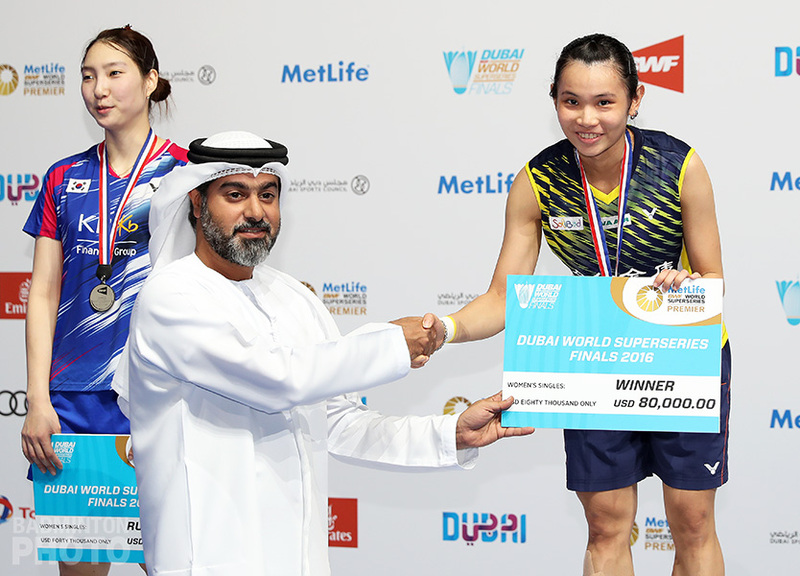 Sato continued her recovery with a comfortable victory and Blair and Bankier took the only title for the home favourites as they defended last year’s result. By Michael Burke, Badzine Correspondent, live from Glasgow. 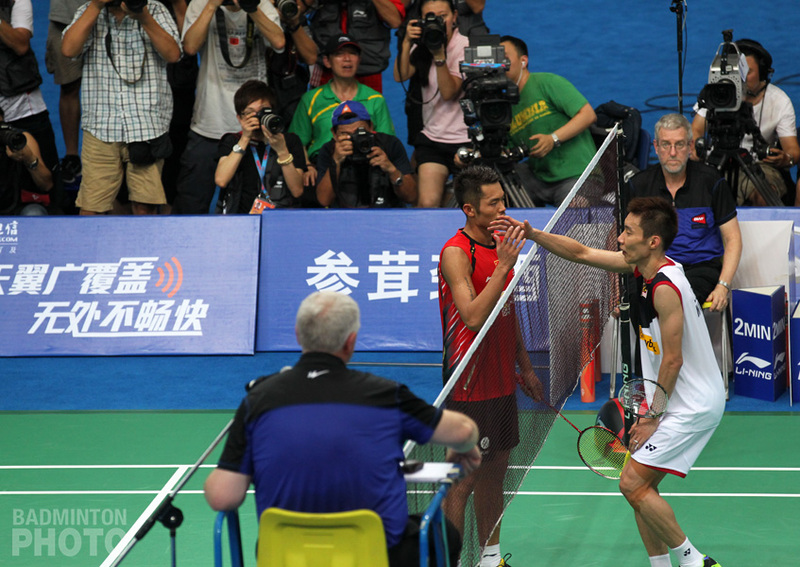 Photos: Badmintonphoto and Don Hearn (archives). Sayaka Sato (pictured left) warmed up to her game, as she played better with every point against Spaniard Beatriz Corrales. 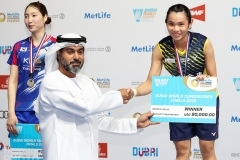 “I was very nervous in the first game, I made a lot of mistakes so I was not expecting to win the second so comfortably,” she said after her match. “There are various players in Japan doing very well, many younger than me so I will try my best to catch them up.” Referencing Nozumi Okuhara’s finals appearance at the Hong Kong Open, also this weekend. 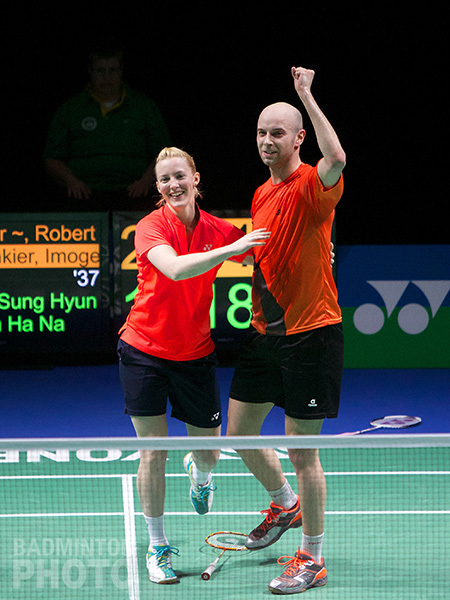 The women’s doubles was the reverse of the singles as the match got more even the longer it went on, as new pairing Olver and Smith improved. The English pair had spoken coming into the final of the difficulties in adjusting to a new partner. It was not enough however, as the Stoeva sisters (pictured right) were again solid and edged out the second game with a powerful display in both defense and smashing. “We’re very happy. It’s our first title at Grand Prix level so that’s amazing. 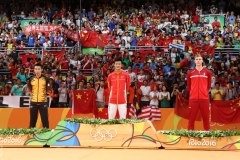 They’re a very good pair at doubles, it was hard to play against them,” said Gabriella after. 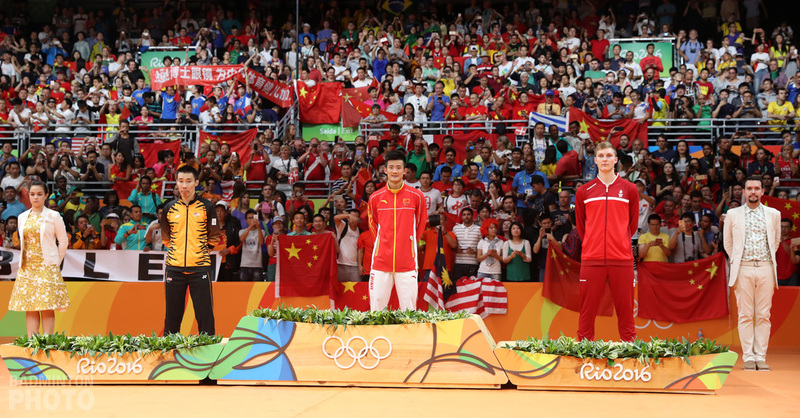 The pair was under pressure as they came into the tournaments as first seeds. “We were nervous from the first match but we focussed hard and we made it through and obviously did well today,” said Stefani. Ville Lång (pictured left) saved four match points in the second game to pave the way for his incredible recovery against a tiring Wang Tzu Wei. 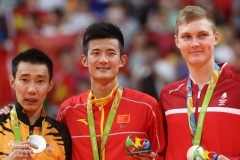 The Chinese Taipei player, who looks to be struggling with a shoulder injury, did not quite have it in him to recover the deficit when it mattered. The Finn has won in Scotland before, when the tournament was an International Challenge event. “That time I didn’t feel so dead after a game. I felt I could do whatever I wanted, now not so much. It’s so hard to come out after a long match. I’m old, I can’t play that long anymore, I’m not going to be playing another ten years, I’ve maybe got a few years left,” he said. His incredible run of six points to save the match and force the decided, though came from his age-old experience. 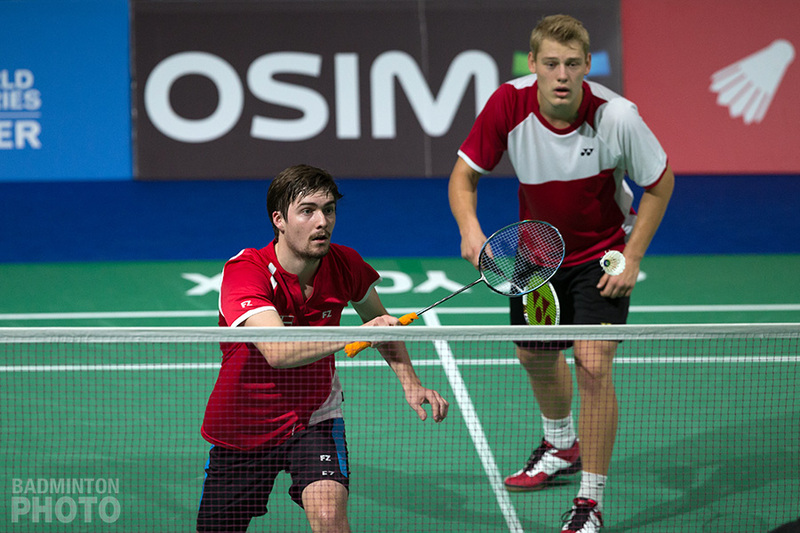 Mathias Christiansen and David Daugaard (pictured right) were too strong for yet another German pair as they beat Beck / Heinz in straight games. “Yeah we’re very happy with that, it’s a great feeling. We’ve done well all tournament, so glad to come away with it. We’ll definitely be back to defend,” said Christiansen. The day was finished with some home success as Blair and Bankier (pictured left) shook off their rustiness to complete a routine victory against Danes Nohr / Thygesen. “It went nicely today. It’s been a bit difficult this week as the shuttles have been slow, so difficult to attack. But we counterattacked and got them off balance and managed to sneak I front,” said Robert. 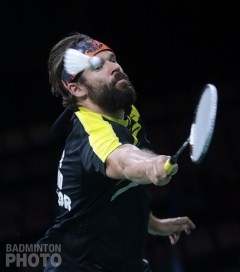 Stalwart of Scotland and at one time England Badminton, Blair is taking things as they come with regards to his future. The full results for the day can be found here.